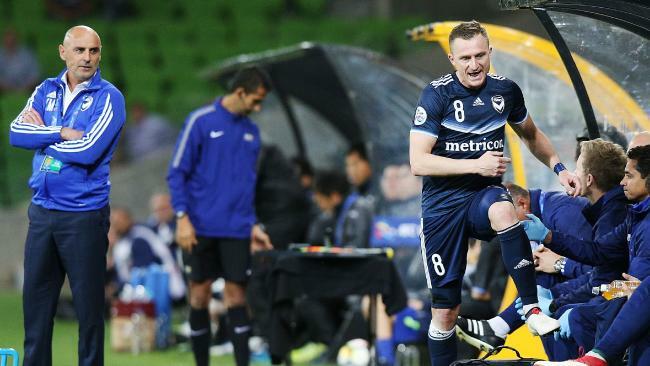 MELBOURNE Victory were chasing a goal with 20 minutes to play, and Kevin Muscat took off Besart Berisha against J.League champions Kawasaki Frontale. The veteran striker could not believe it. And he let everyone in the stadium and watching on television know. From hand gestures, to head shakes, to cursing the move all the way to his seat on the bench, the Victory star was furious. The fiery Albanian stormed past Muscat to take his place in the dugout. 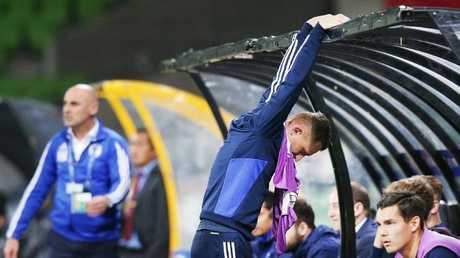 It was a gutsy call by the Victory boss, but with Berisha shaking his head wildly on the sidelines still, it paid off. 25-year-old Kenny Athiu came on and was a lively point of difference, and with Berisha on the bench, Kosta Barbarouses scored the precious winner. "No one's happy when they come off, but I'm more interested in what the ones who are going to come on are going to do," Muscat said. "The contribution from the boys who came on was exactly what was required for the team ... that's what I'm interested in more. "I'll have a look at it and whatever those conversations are (with Berisha) they will remain private." He told Fox Sports: "The last time I looked, it's a football team." 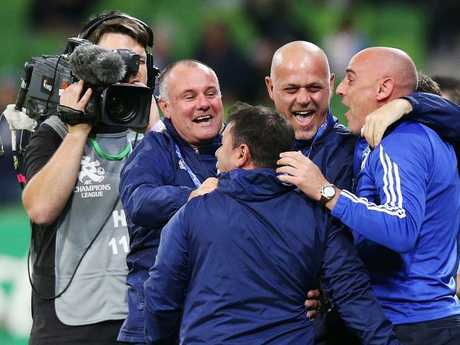 With Victory third and the Japanese side last in Group F going into the match, both sides desperately chased the three points in an entertaining affair at AAMI Park. A loss or even a draw would have made it tough for Muscat's men to advance past the group stage, but a Barbarouses strike in the 90th minute sealed a vital home win. Despite the results, Victory remain third on goal difference with two matches remaining in the group stage. But they have drawn level with second-placed Ulsan Hyundai on five points after the Koreans were defeated 1-0 by Chinese giants Shanghai SIPG, who top the group with 10 points and have already qualified for the knockout stage. "It's a massive scalp for the football club, a massive scalp for Australian football and it's a proud night for us," Muscat said. "To take four points off them over two games ... we're still well in the competition. Muscat's men travel to South Korea to play Ulsan before hosting Shanghai to round out the group stage. Before the match, the coach promised to attack Kawasaki with a high-tempo strategy and his men delivered. But the classy visitors didn't take a backward step, which made for a highly- entertaining end-to-end affair capped by Barbarouses' winner. "It was just an amazing feeling and a reward for the team's performance on the night," Barbarouses said of his superb strike. "There were amazing performances from everyone. "I think everyone at the club should be very proud. They're a great side and to put in that performance, I think, is fantastic from the boys." Kawasaki are anchored to the bottom of Group F with just one point from four games, but coach Toru Oniki refused to concede his side's ACL campaign is over.